Written by John Thompson. Instructional book for piano. With vocal melody, piano accompaniment, lyrics, fingerings, instructional text, color illustrations and introductory text. 40 pages. Published by Willis Music. 31 Songs from Featured Character Roles. Composed by Various. Vocal Collection. Broadway, Musicals. Softcover. 216 pages. Published by Hal Leonard (HL.240992). Performed by Elton John. For voice and piano. 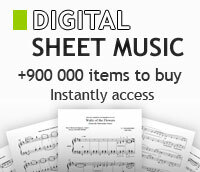 Format: Easy piano/vocal songbook. With vocal melody, piano accompaniment, lyrics and chord names. Rock and pop rock. 80 pages. 9x12 inches. Book Only. Composed by Various. Edited by Richard Walters. Vocal Collection. Broadway. Softcover. 216 pages. Published by Hal Leonard (HL.239506). by Ariel Ramírez Suite populaire de Noël basée sur les rythmes et les traditions de l?Amérique du sud. Pour soli et choeurs mixtes, avec accompagnement de percussion, guitare et clavecin ou piano.